From October 11th till 14th, around 200 participants had the opportunity to meet new members and to talk about existing contacts. Companies from all over the world came together for this annually conference to discuss existing partnerships and to check if there are possibilities for cooperation with new members. The Interfracht Group attended with 6 participants from four branches (Germany, Sweden & Romania). All network members are called to evaluate the other partners before this meeting. 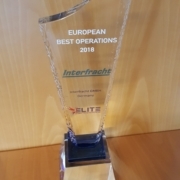 This year Interfracht received the award “European Best Operations”. 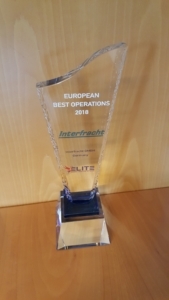 We are very happy about this award.